According to the Centers for Disease Control (CDC), cerebral palsy occurs in about 1 out of every 303 children. Cerebral palsy consists of a range of disorders affecting the brain and nervous system that cause movement, posture, cognitive and perceptual problems. While cerebral palsy can affect children in a variety of ways, with some cases being milder than others, the effects of cerebral palsy almost always dramatically alter a child’s life and functionality. Cerebral palsy is caused by an injury to the motor control centers of the brain, which are located in the cerebrum. This part of the brain can become injured as a result of decreased oxygen (hypoxia), decreased blood flow (ischemia), infection and neurotoxins that destroy gray matter in the brain. 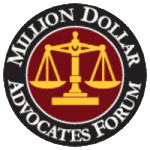 Throughout this page, our Detroit, Michigan birth injury attorneys will discuss medical malpractice, jaundice and cerebral palsy. Should you have any legal questions or case inquiries as you read through our page, please reach out to our legal team. You may reach us online here or call our offices toll-free at 888-419-2229. Jaundice is one of the most common health problems in both premature and term infants. Jaundice is the yellowing of skin and eyes that occurs when red blood cells break down and bilirubin, a byproduct of red blood cell breakdown, floods the baby’s body. All babies experience a period of rapid red blood cell breakdown after birth, and may look a little yellow. Most babies are able to easily process bilirubin. In some babies, however, red blood cells break down faster than normal and the body can’t easily metabolize the bilirubin. When this happens, bilirubin builds up to dangerous levels in the blood, a condition that is called hyperbilirubinemia. Without treatment, a baby can sustain permanent brain injury, such as kernicterus that can cause cerebral palsy. Kernicterus occurs when the level of bilirubin is so high that it moves out of the blood into the brain tissue. The condition is often seen in premature or sick newborns because their livers and kidneys aren’t fully developed and cannot quickly remove extra bilirubin. However, it is also seen in full term babies. Hyperbilirubinemia is easily diagnosed with simple blood tests. It also is easily treatable with phototherapy (the baby is placed under special lights that decrease bilirubin levels), a fiberoptic phototherapy blanket, and a blood exchange transfusion. The underlying condition that is causing the hyperbilirubinemia also should be treated, if possible. Sometimes infections, such as syphilis transferred from the mother to the baby, or sepsis, can cause hyperbilirubinemia. Bleeding under the scalp, which can be caused by a traumatic birth and use of forceps or vacuum extractors, also can cause elevated bilirubin. Other factors, such as prematurity and blood group incompatibilities between infant and mother, including Rh and ABO blood types, may additionally cause excessive bilirubin. Hyperbilirubinemia is very easy to diagnose and treat, which makes it particularly devastating when a baby develops kernicterus as a result. When jaundiced babies exhibit signs of kernicterus, permanent brain damage is likely taking place. Medical professionals must provide immediate treatment in order to prevent further damage. Kernicterus refers to the yellow staining of the deep nuclei of the brain, namely the basal ganglia, which is a collection of distinct masses of gray matter. This yellowing is caused by bilirubin, which is a brain toxin. Kernicterus involves specific movement disorders, hearing loss or deafness, and impairment of eye movements. Children with kernicterus typically have a dystonic or athetoid form of cerebral palsy. Athetoid refers to slow, writhing involuntary movements that occur. Dystonia, or abnormal muscle tone and position, is more common, and may occur with or without athetosis. Aside from kernicterus, other forms of bilirubin-induced neurological damage can exist, including cognitive and auditory processing problems. It is very important for physicians to remember that when clinical signs for bilirubin induced neurological (brain) damage occur, it is not too late to treat the baby. This is because when an infant is jaundiced and signs are present, damage is continuing to occur. The sooner the bilirubin is reduced, the better, and the less permanent brain damage will occur. Hyperbilirubinemia is a medical emergency, and delay makes damage worse. Not believing the bilirubin level from the lab, and delaying treatment while it is repeated. It is okay to repeat the test, but treatment should not be delayed while waiting for the repeat test. There are no negative effects of treating with a large dose of phototherapy, gavage feeding, and hydration, or of ordering a type and cross match and blood. If the bilirubin drops rapidly to a relatively safe level, and the child has no symptoms, the exchange transfusion can be cancelled. Postponing treatment or interrupting phototherapy for diagnostic testing to determine the risk of an exchange transfusion. If a sepsis workup is needed or an echocardiogram, etc. is needed, it can be done under the lights. If the baby needs to go for an outside test, the lights can go with her. Failing to timely perform an exchange transfusion. Failing to examine the baby for signs of acute kernicterus. Using the indirect (or unconjugated) bilirubin instead of the total serum bilirubin to make treatment decisions. Total bilirubin level should be used. Letting the bilirubin reach potentially dangerous levels. Obtaining a bilirubin level or measuring blood bilirubin is very easy to do. It is much easier to prevent bilirubin from rising too high than to treat it when it does. Measuring the bilirubin and failing to compare it to hour-specific norms. This is very important. A bilirubin level in a one-day-old may be normal or dangerously high, depending on whether the baby is 24 or 47 hours old. For example, level of 8.5 would be in a high-risk zone in a 24 hour old baby, and in a low risk zone in a 47 hour old baby. The physician caused or contributed to the jaundice through improper use of forceps or a vacuum extractor at birth. The hospital was unreasonably negligent in not having policies on when to check bilirubin levels, especially in premature babies and other at – risk infants. The physician failed to obtain informed consent for any procedure, including method of giving birth and use of forceps or vacuum extractors. When physicians and the medical team act negligently and fail to follow standards of care in diagnosing and treating high levels of bilirubin, it is negligence. If this negligence causes cerebral palsy or other neurological damage in a baby, it is medical malpractice. In addition, if the physician causes the baby to have hyperbilirubinemia, and this leads to brain damage and cerebral palsy, medical malpractice occurred. If your loved one was injured due to medical malpractice, we encourage you to reach out to a birth injury attorney for legal guidance. Money from a successful medical malpractice settlement could help you and your loved one afford important treatments, therapies, care, and lifestyle adjustments. 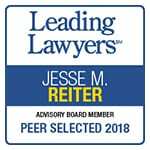 The award-winning cerebral palsy and birth injury lawyers at Reiter & Walsh ABC Law Centers have many years of experience in kernicterus, jaundice and cerebral palsy cases. If your baby had jaundice and suffered from cerebral palsy or has cognitive problems, our attorneys can help. Our skilled birth injury, jaundice and cerebral palsy attorneys will work tirelessly to obtain the compensation you and your family deserve. To begin your free case review, you may contact our legal team in whichever way is best for you. You may call our office toll-free at 888-419-2229 , complete this online contact form, or press the Live Chat tab to the left.